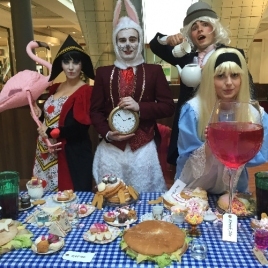 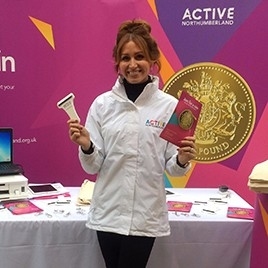 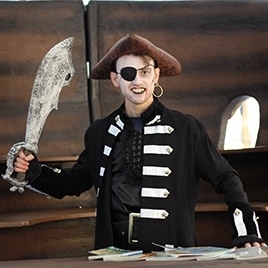 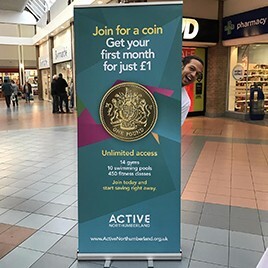 To add an experiential feel to the relaunch of Active Northumberland, encouraging as many sign ups to their £1 gym membership scheme as possible. 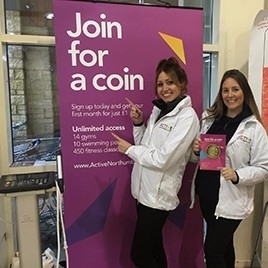 With this being a gym membership activation we assembled the fittest and finest team of promotional models, all of whom sharing a wealth of experience in not only the promotions game but in the world of exercise and gym equipment. 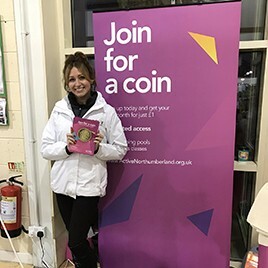 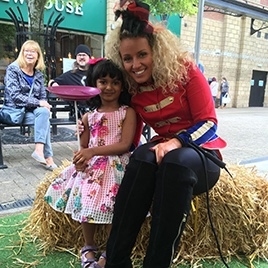 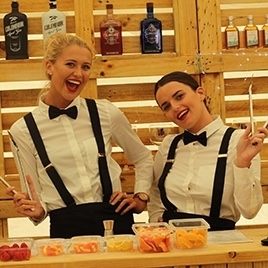 All the models were also fully sales trained as this was primarily a sales focused event, encouraging as many sign-ups for the gym as possible at each of the Northumberland locations. 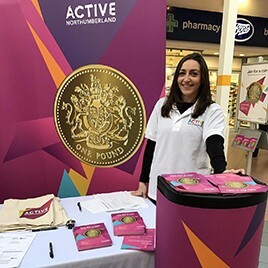 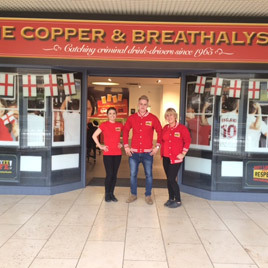 Event space was booked at areas such as Ponteland, Ashington, Blyth Spartans and Manor Walks in Cramlington with a fantastically eye catching stand fully branded in the style of Active Northumberland. 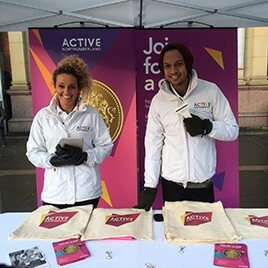 The staff were provided with various giveaways such as trolley coins, cotton bags and ice scrapers for those who signed up, and an InBody Machine which was at the base of each event area. 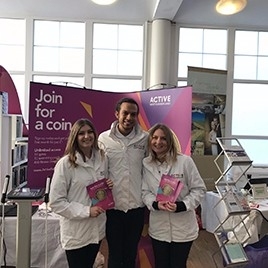 Members of the public were invited to test out the machine with the promotional staff at hand to offer guidance and information on their results as well as information on the gym and the application of the machine within a training regime. 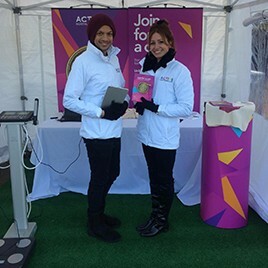 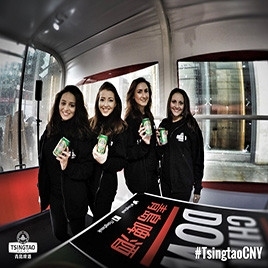 Over the 4 week activation period, the following results were recorded by the promotional brand ambassadors.